DHAKA, Bangladesh (AP) — Journalists and human rights groups are demanding major amendments to a bill recently passed in Bangladesh’s Parliament, saying it will further choke constitutionally protected freedom of speech. “We are moving toward a bad time. This law will hurt the media, democracy and freedom of expression,” said Khandakar Muniruzzaman, acting editor of the Bengali-language daily Sangbad and among those planning to participate in the protest Saturday. Journalists in Nepal are combating a similar law, part of an expansive rewriting of that country’s civil and criminal codes meant to define the parameters of Nepal’s new constitution. Bangladesh’s Prime Minister Sheikh Hasina, who political opponents decry as an autocrat, defended the bill in Parliament last week, saying that it was meant to protect the country from propaganda. “Bangladesh authorities have failed to address serious human rights violations, and when criticized, chosen to target the messenger,” spokeswoman Meenakshi Ganguly told The Associated Press. 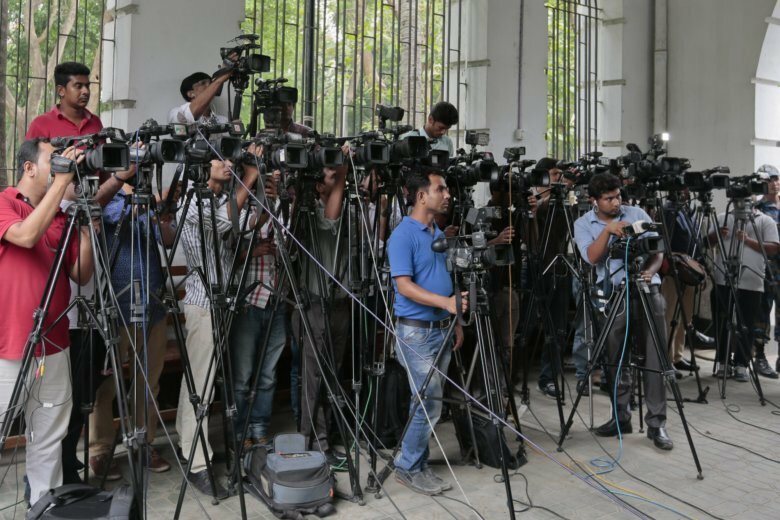 “Bangladeshi journalists, already under pressure, will now worry about doing their job in exposing government failures,” she said. Bangladesh’s main opposition Bangladesh Nationalist Party, or BNP, has said the bill is intended to silence its members. Party leader former Prime Minister Khaleda Zia, an archrival of Hasina, is currently in jail for corruption. Her supporters say her jailing is politically motivated, an allegation authorities have denied. The opposition says their activists are facing thousands of politically-motivated criminal charges, but police say they are following the law, without regard to suspects’ political affiliations.